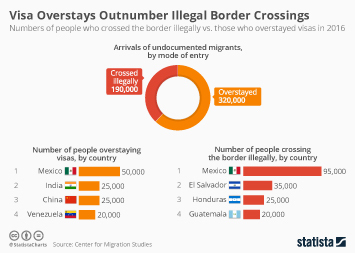 Undocumented immigrants travelling in family units have been crossing the Southern U.S. border in record numbers, as inferred to by arrest counts from Customs and Border Protection. 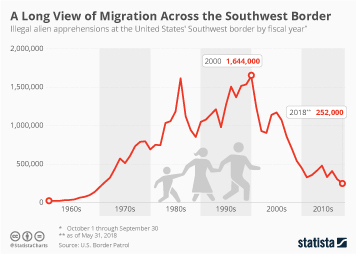 In February 2019, more than 36,000 people were apprehended while trying to cross the border with their families, exceeding the number of other apprehended people by almost 6,000. 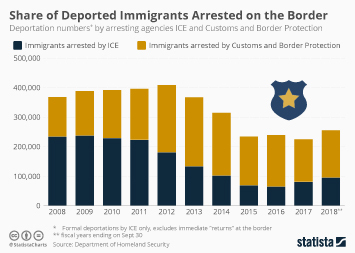 The number of families arrested has pushed total border apprehensions to an 11-year high in February. 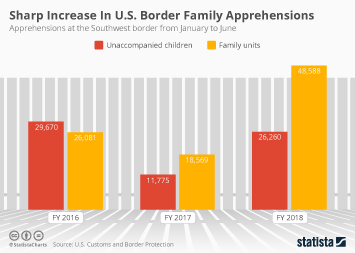 The number of immigrants apprehended with their family in fiscal year 2019 so far (October-February) has also exceeded the record for most family apprehensions in a whole year, set in FY2018. 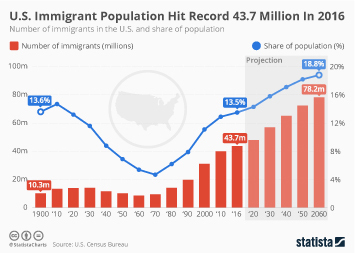 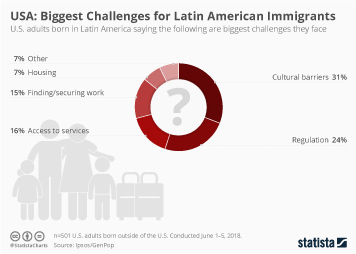 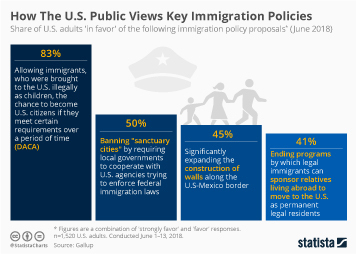 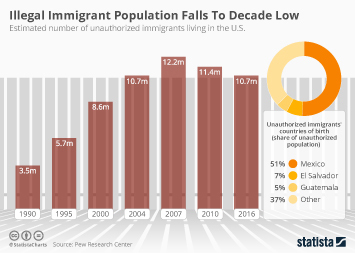 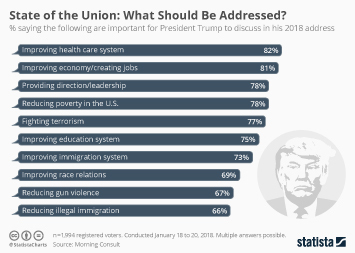 Recently, more immigrants that are coming across the Southern U.S. border have travelled from countries in Central America, like Honduras, Guatemala or El Salvador, while undocumented immigrants from Mexico remain the largest group. 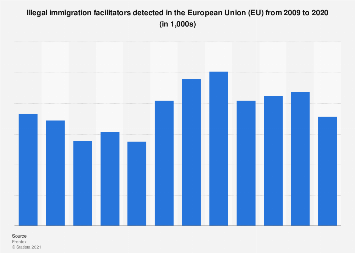 These migrants often claim asylum because of political turmoil in their home countries. 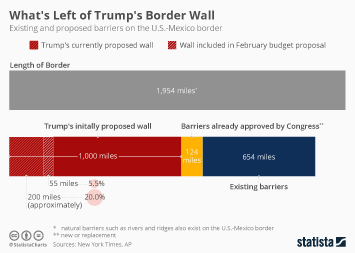 Family units have been travelling as part of larger groups of up to 100 people, which have been branded as “migrant caravans” by different media outlets. 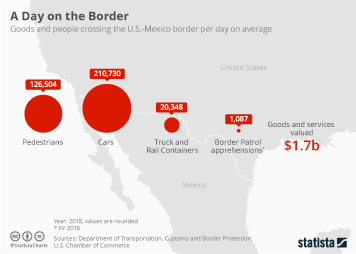 Customs and Border Protection said they had apprehended groups of 100 or more people on 53 occasions since October on the U.S.-Mexico border. 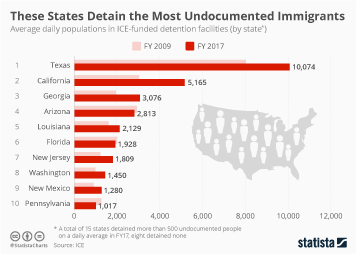 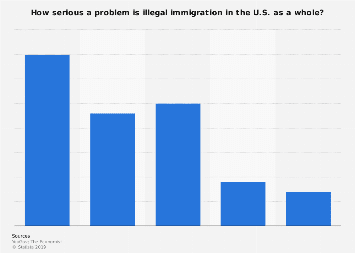 This chart shows the number of undocumented immigrants apprehended at the Southern U.S. border, overall and by people arrested with their family.